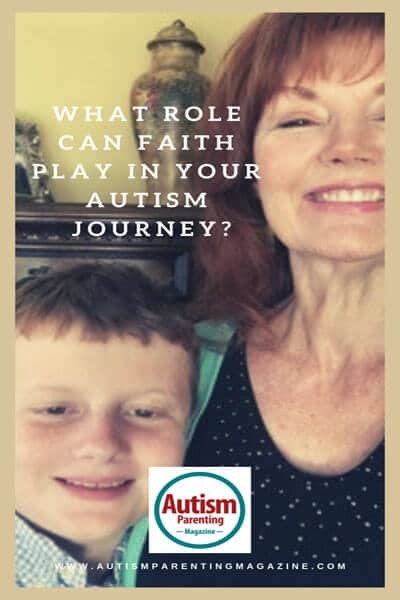 Have you ever wondered what role faith plays in your autism journey? As a Christian, I can only speak from that perspective, but I am aware that other faiths may have insights on this topic as well. Our faith in God gives us hope in what otherwise would seem like a hopeless situation. Faith gives us comfort, the awareness that we are not alone, that we have a Heavenly Father who cares about us and about what we are experiencing on a daily basis. Faith allows us to find peace, even in difficult circumstances. Happy people are able to synthesize happiness out of whatever they have, rather than just getting what they want. Faith allows us to find value and purpose in whatever life gives. It gives us the foundation for living a life of gratitude, regardless of our situation. Our faith in God’s goodness allows us to grow and mature as we walk the journey of autism with our child. Having hope for our own lives, we are then able to reach out to others who are hurting. Faith also allows us the opportunity to pray for our child with autism. Some may pray for improvement, others for healing. 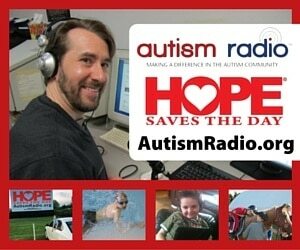 We pray to find the right schools, therapies, and medical staff to help our children. In my counseling practice, I have seen children with autism progress and develop as a result of the loving care of their parents and the combination of various therapies and treatments. I have also seen children mature into adults with very few of the characteristics of autism remaining. 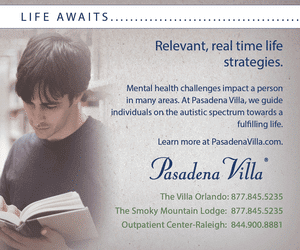 Parents of children with autism often feel isolated and struggle under challenges that outweigh their resources. 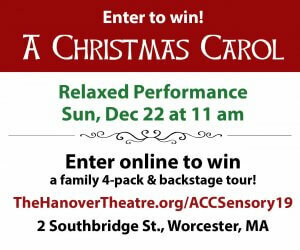 A supportive church family can provide a loving environment of acceptance and care for families of special needs children. My own grandson’s church plays a vital role in his life by providing a monthly “Buddy Break” experience which gives him a Saturday morning of fun with other special needs children, in the care of his own trained “buddy.” This also gives his parents a Saturday morning to pursue their own self-care or leisure activities. 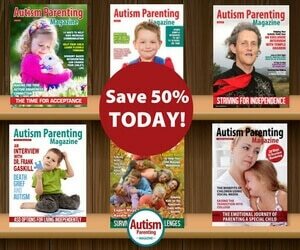 You may have the tendency to put your spirituality on the back burner as you care for your child with autism. Or maybe, you are angry with God for allowing you and your family to walk this path. Regardless of your current attitude, I would like to encourage you to tap into your faith heritage as a valuable resource! Stephanie Murphy writes to offer insight and encouragement for families touched by autism. She draws not only on her 30 years of experience as a family therapist but also on her personal experience as a grandmother. She is the author of two books, including Strong and Courageous: Encouragement for Families Touched by Autism, 2017. Stephanie and her husband reside in Jacksonville, Florida and live part of the year in Atenas, Costa Rica for missions work with young people.